Tucked away in a lively SoHo street in NYC, there's a space where all our interior design and shopping dreams combined can turn into a sophisticated reality. 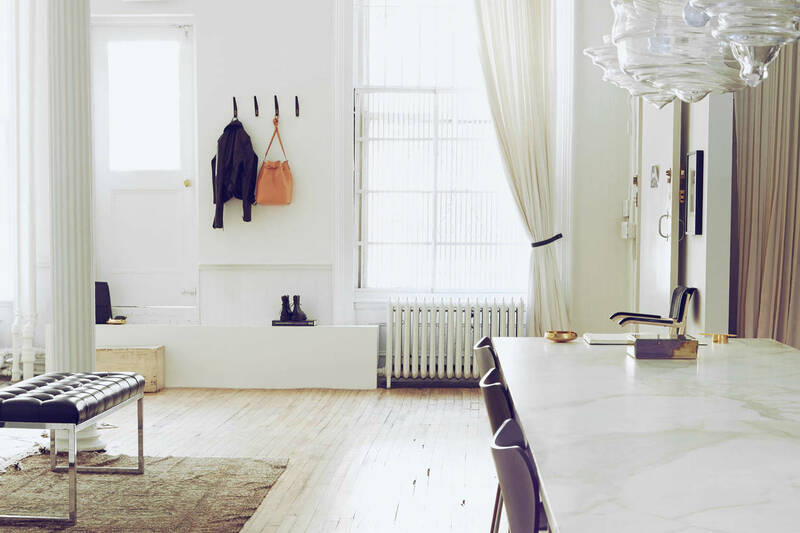 I speak of none other than The Apartment by The Line, put together by the trendsetting duo and co-founders Vanessa Traina and Morgan Wendelborn. The loft itself, which dates back to 1872, brings out the best in every tiny detail brought together for the perfect retail experience, where you feel like you're literally at home — at least a home where everything's marvellously arranged with the best brands you can put your hands on, from Proenza Schouler, Gabriela Hearst, Altuzarra to Khaite and Atlein, and everything's ready to be experienced and purchased by those who enter its lovely doors. At The Apartment by The Line, the visual experience is everything. All senses are expected to be spurred and incited, like the most ravishing walk-in closet in the most exquisite house. Lovers of fashion, beauty, and home goods are presented with a curated selection of products that pretty much follow the line (pun intended) of what it's being done online. This is, therefore, the ultimate online/offline journey. Designed by Carl Sprague, the famous set designer responsible for showing us gorgeous scenarios for more than 30 films, such as The Grand Budapest Hotel (Wes Anderson, 2014), The Apartment by The Line is divided into several rooms, inside which we'll find Vanessa's and Morgan's taste in every single corner, following their motto 'to pare back, strip down, and refine'. Objects of desire play a special and undeniable part, as they become an ever-changing source of inspiration for the co-founders and the visitors alike. After a couple of years of being only in Manhattan, The Line spread its wings to Los Angeles, where a second The Apartment opened in the bustling street of Melrose Place — and now they've got a cool new neighbour, Glossier — but I'll leave it for some other time. Both places urge visitors to make the most out of the The Apartment by booking a private appointment and take advantage of a range of complimentary services.